In 2013, I initiated and helped design and analyze a University of Ottawa research study funded by the Canadian Institutes of Health Research. The purpose of the study was to explore transmasculine individuals' experiences with pregnancy, birth, and infant feeding. I interviewed 22 people about their experiences. Our team's first paper has been published! 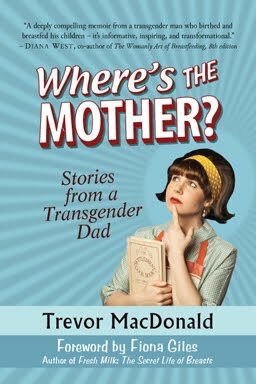 It focuses on lactation, chestfeeding and gender identity. It is open access, published in BMC Pregnancy and Childbirth. I also wrote an overview of the research results here on my blog. Further papers resulting from this study are currently in development. Their focus is pregnancy and birth.